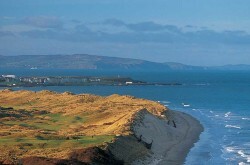 We have been voted “Golf Tour Operator of the Year” by our peers at Golf Tourism Scotland four times in recent years. 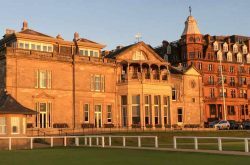 With offices which are open 7 days a week during the summer and just yards from the Old Course, our clients who visit St Andrews can pop in to meet our team. 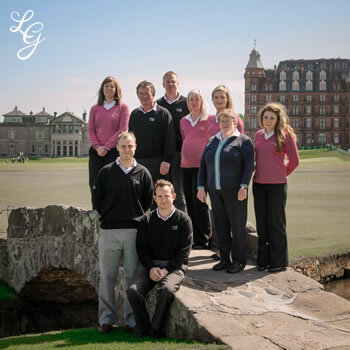 Our personnel are always there to assist every one of our clients at the first tee of the St Andrews Links courses. Much of our business comes from repeat customers who travel again and again. More than 50% of our new business comes from referrals. We receive any number of unsolicited ‘thank you’ letters and emails from delighted travelers. To read some of them, please click here. 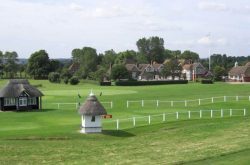 We have been in business for more than 30 years and have had thousands of satisfied golfers from all over the world use our services. To see a list detailing some of our corporate clients, please click here. Our staff members have a “Can do” attitude and are there to help you before, during and after your tour. As local travel experts, you know that you are getting an authentic experience when you book with us. We constantly review our partner hotels, golf courses, transport suppliers, restaurants, etc, to make sure the standards we expect for our clients are being met. 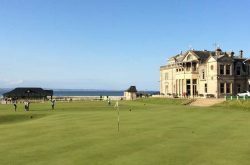 Organising a golf tour can be stressful and frustrating. Let us do the work for you. We have to tell you how much we enjoyed our trip to Scotland – it was probably the best trip we’ve had in all our travels! 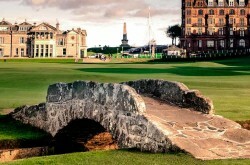 Offices less than 100 yards from the Old Course. We carry an inventory of guaranteed Old Course Tee Times from the beginning of April through October inclusive. A tight knit team of 12 staff with combined experience in the travel industry well in excess of 100 years. Our team is experienced in working with an international client base many of whom have been travelling with us since the 1980s. Business links throughout Scotland, Ireland, England and Wales.